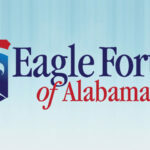 Join Eagle Forum for a free “crash course” on how the Alabama Legislature works. You will learn how a bill becomes a law, how to lobby your legislators, and how to use ALISON the Alabama Legislative Information System Online. You will also have the opportunity to meet some terrific Eagle Forum volunteers and hear about our legislative priorities for the 2019 legislative session. Adults of all ages and homeschool students (7th-12th grades) are encouraged to attend. For more information or questions email Becky at [email protected] or call 334-452-0453.